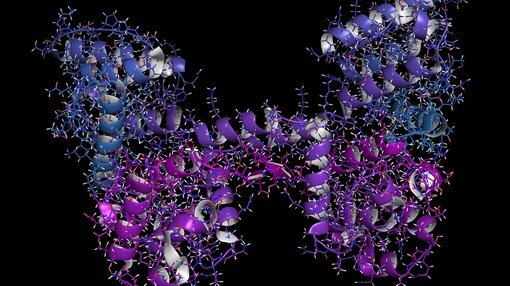 Proteins are fundamental components of all living cells and include molecules such as enzymes, hormones and antibodies that are necessary for carrying out the body’s functions. However, the overproduction or abnormal production of proteins is associated with most human diseases. Antisense technologies are being developed to modulate gene expression within the cells to treat various diseases. 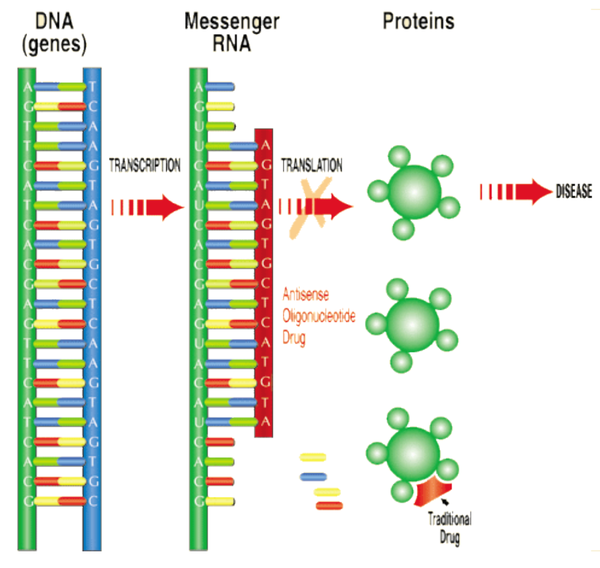 Antisense oligonucleotide drugs are small DNA- or RNA-like compounds that are chemically modified to create medicines. They prevent the undesirable production of proteins involved in disease processes by interrupting the translation phase of the protein production, resulting in a therapeutic benefit to patients. One such disease for which ASX junior Antisense Therapeutics (ASX:ANP) could deliver much improved outcomes is Duchenne Muscular Dystrophy (DMD). DMD is one of the most common fatal genetic disorders, affecting one in 3600 to 6000 male births worldwide. It’s a devastating genetic muscular disease caused by loss of the protein dystrophin, with progressive muscle wasting and associated muscle injury leading to inflammation and fibrosis. The disease leads to severe progressive muscle loss and, unfortunately, has a 100% mortality rate. There is a significant unmet medical need for new therapeutics targeting the progressive destructive inflammation associated with DMD. ANP is currently undertaking a Phase 2 clinical trial on a drug candidate (ATL1102) that targets a protein believed to be involved in the muscle inflammation that exacerbates the muscle fibre damage in DMD patients. ANP hope that ATL1102 can progress to where it plays a significant role in the future treatment for this devastating disease. For decades corticosteroids have been used to treat the muscle inflammation in DMD to preserve or improve muscle strength and motor function, and to prolong independent walking. The problem is that corticosteroids have insufficient efficacy and come with a host of serious side effects, particularly when used for long periods as is required for DMD patients. ATL1102, ANP’s antisense drug candidate, came to ANP from US$7.4 billion Ionis Pharmaceuticals (NASDAQ:IONS) — world leaders in antisense drug development and commercialisation. ANP has partnered with Ionis to develop RNA-targeted therapeutics. The move positions it as the only listed company in Australia to have such a development collaboration with Ionis. ANP has secured a worldwide exclusive license to their intellectual property on ATL1102 for all disease applications. ANP has subsequently generated their own IP and patents around the drug, having taken ATL1102 all the way from preclinical studies to the current Phase II clinical trials. Finfeed spoke with CEO Mark Diamond recently about the Ionis relationship and how the company has come to stand on its own two feet. FF: Mark, thanks for taking the time to speak with us, can you give us an overview of how the partnership with Ionis came about? Mark Diamond (MD): Antisense is focused on developing its pipeline of antisense compounds that it acquired through its relationship with Ionis Pharmaceuticals. The two drugs that we have from Ionis, ATL1102 and ATL1103, are compounds that we have worldwide exclusive licences to be able to develop up for all indications. We've been collaborating with Ionis now since the company listed it in 2001. FF: How have the drugs progressed over that time? MD: in that time period, we've taken these drugs from very early phase, pre-clinical development through to later stage clinical trials. In the case of our drug ATL1102, Ionis had done some very early work in animal models of inflammatory diseases, and from that point we've taken it through to phase 2 clinical trials in 2 indications, Multiple Sclerosis and now DMD. With respect to our drug ATL1103, well that really came about after we partnered with Ionis. We had the concept in mind for ATL1103 at the time we did the deal with Ionis which was the trigger for the listing of the company on the ASX. We said to Ionis that we were interested in developing antisense drugs to a specific list of biological targets. Ionis then gave us access to their intellectual property, which translated as them giving us drugs that were targeted to those particular biological entities that we then tested in relevant animal models. One of those was an antisense drug to the growth hormone receptor, now ATL1103. Once Ionis provided us with a lead drug we took it over from there. So with ATL1103, it was essentially just a concept at the time of the deal with Ionis and now it has moved through successful phase 2 clinical trials. FF: How did the relationships with Ionis develop over time? MD: When we started with Ionis, we had the Chairman and CEO of the company, Dr Stanley Crooke, who's still chairman and CEO of Ionis, on our board. That was part of the understanding when we listed the company, as Ionis were at the time and remain a shareholder of ANP. Then for a number of years we continued to have Ionis personnel on our board. Dr Frank Bennett took over from Stan on the board and so we were continuing to receive a lot of important oversight and insight from those guys into our development plans. That important influence we had from ... let's call it a big brother US development group, was a very, very valuable experience not only on our antisense drug development, but on themes for running a successful biotechnology company. It was excellent mentoring for myself, having someone like Stan on the board. It gave me a really, really helpful leg up, as a CEO of a biotech company. What's happened over time is that as we were successfully moving our drugs through development and when we had partnered our drug for Multiple Sclerosis with a big pharmaceutical company, Stan said, "You don't need us to be as directly involved anymore, you don't need us to be on your board, you guys have matured enough to run your own show”. So they determined that they no longer needed to have someone on the board, we were always pleased to have them there but we also saw it as a positive move, because it reflected that they had sufficient confidence in us. FF: This relationship makes you unique in a way and a solid investment option, can you tell us why? MD: We are in a unique position in that I don't know of any other local company that has the type of relationship that we have with a multi-billion dollar market capped US biotech company. It goes to your question about why would you want to invest in ANP? I don't think there's any other company that's got the kind of relationship that we established with them, where we've actually licenced drugs for commercialization from a much bigger pharmaceutical company and benefit from the billions of dollars invested by Ionis and their partners in developing and advancing the Ionis platform technology and we believe, significantly de-risking it in the process. We are not working with a nascent technology where every step forward is effectively into the dark, we have the advantage of working with a technology where the drugs have been tested in thousands of patients with a certain number of them approved for marketing by US and European regulatory authorities. So, there is a well-established development path and a data base of clinical experience for us to draw upon and leverage in the development of our own drugs. FF: Mark, thanks for taking the time to explain this important relationship. As it stands, ANP is not just the only company in Australia that is collaborating with Ionis, but it’s the only local company working on antisense drugs at all, meaning that for ASX investors wanting to invest in antisense technology ANP is their best bet. The Phase II clinical trial in DMD of ATL1102 in DMD patients is being conducted at Royal Children’s Hospital, Melbourne in non-ambulatory DMD patients. Dosing is underway with the potential for early study readouts in 2019 given the open label trial status. Back in May, ANP completed a $5 million institutional raising at $0.024 for the current DMD trial. Both Australian Ethical Investment and Platinum Asset Management entered the register as substantial shareholders at that time. ANP is one of only a few companies working in the DMD space targeting the largely unmet need of treating the inflammation associated with the disease. This is a market that is significantly underserved, meaning there is substantial value creation potential as evidenced by comparable DMD therapeutics company Sarepta Therapeutics (NASDAQ:SRPT). 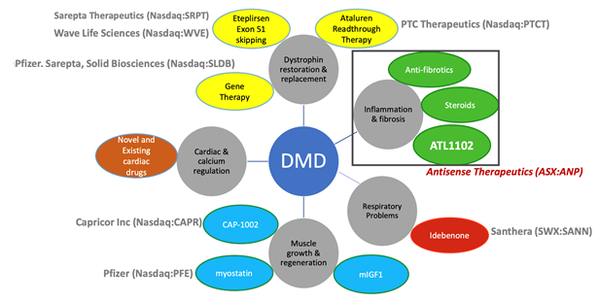 ANP anticipate that its drug could be complementary to other DMD programs as treatment development is across all DMD intervention points, as seen below. ANP could have a drug that is complementary to other DMD programs. These other potentially complementary programs include Sarepta Therapeutics’ Dystrophin restoration treatment — Eteplirsen (Exondys 51)— which was approved in late 2016. Note that prior to Exondys 51 receiving approval from the FDA, Sarepta had a market capitalisation of around just US$60 million. Once Exondys 51 was approved, Sarepta’s market cap increased to US$3.3 billion, and is now at $7.8 billion. Exondys 51 was approved under the accelerated approval pathway based on the surrogate endpoint of dystrophin increase in skeletal muscle observed in some Exondys 51-treated patients. Notably, William Goolsbee, the former Chairman of Sarepta, is a non-executive director of ANP and the inventor of Exondys 51, Professor Steve Wilton (Murdoch University, Perth), is a member of the ANP Scientific Advisory Board. The company’s scientific advisory board members are internationally renowned experts with both DMD and related drug commercialisation experience in the space to guide development. In addition to DMD therapies, the company is seeking to create, develop and commercialise novel antisense therapeutics for Multiple Sclerosis (MS), and Acromegaly. It has an advanced stage product pipeline with two compounds with positive Phase II clinical results published in high quality peer reviewed scientific journals. In part 2 of our interview with Mark Diamond, we will take a deep dive into how the drugs actually work.